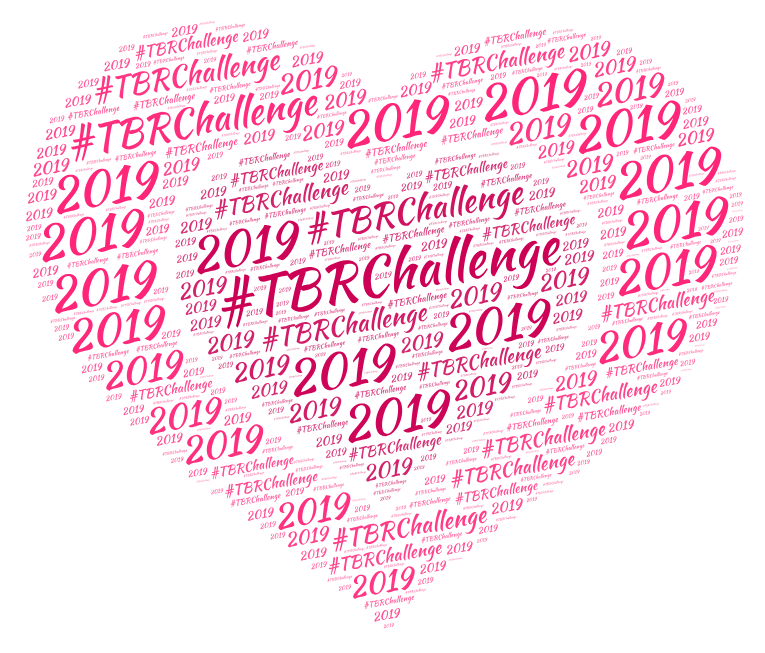 There were a couple of days worth of panic involved, but I managed to find one book that fit the theme for this month’s TBR Challenge. Apparently I had started this novel at some point in the past–I know this because there was a receipt (the emergency bookmark par excellence) stuck between pages 72 and 73–but for one reason or another I had put it down and misplaced it. As in, shelved it with the rest of the Bridgerton books, which I have read. It’s a good thing I realized I had not, actually, finished it, for a number of reasons (thou shall not shelve unread books among their already-read brethren, being just one of them). This is the seventh book in the original Bridgerton siblings books. Set in the Regency, the T follows the lives and misadventures of eight siblings. The eldest is the current Viscount, after his father untimely death at the very young age of thirty nine, from an allergic reaction to a bee sting. Named in alphabetical order, we have Anthony, Benedict, Colin, Daphne, Eloise, Francesca, Gregory and Hyacinth. Clever readers will have noticed that the books are not written following order of birth. Indeed, women at the time were expected to marry shortly after making their debut at age seventeen or eighteen, while the males could remain happily single well into their thirties. Ergo, the first story is Daphne’s, not Anthony’s, and Hyacinth’s comes before Gregory’s. Gareth St Clair is in a bind. His father, who detests him, is determined to beggar the St Clair estates and ruin his inheritance. Gareth’s sole bequest is an old family diary, which may or may not contain the secrets of his past…and the key to his future. The problem is–it’s written in Italian, of which Gareth speaks not a word. All the ton agreed: there was no one quite like Hyacinth Bridgerton. She’s fiendishly smart, devilishly outspoken, and according to Gareth, probably best in small doses. But there’s something about her–something charming and vexing–that grabs him and won’t quite let go. Or don’t. But rest assured, he’s spinning in his grave when Gareth and Hyacinth cross paths at the annual–and annually discordant–Smythe-Smith musicale. To Hyacinth, Gareth’s every word seems a dare, and she offer to translate his diary, even though her Italian is slightly less than perfect. But as they delve into the mysterious text, they discover that the answers they seek lie not in the diary, but in each other…and that there is nothing as simple–or as complicated–as a single, perfect kiss. I was one of the many readers who adored the first few installmentes–The Viscount Who Loved Me, An Offer From A Gentleman, To Sir Phillip With Love, When He Was Wickied and, somewhat to a lesser degree, Romancing Mr Bridgerton, are swoon-worthy for many reasons, starting with the heroines. Strong, intelligent women who pretty much take charge of their own lives. The Bridgerton series showcases strong family ties, with Mrs Bridgerton being one of the nicest–and most ruthless–mamas in romance-land fictional Regency. Which means that the males of the family may be rakes, but they also are, underneath and beyond and above all, nice, decent men. 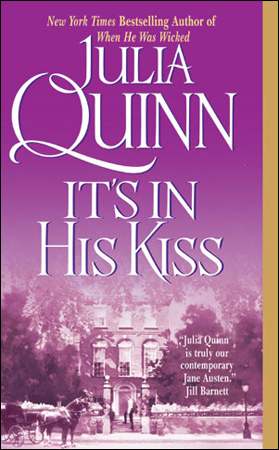 Ms Quinn gives the overall impression of having a firm command of the mores of the time she writes in, even as she slips in subtle anachronisms here and there which delight many of her readers. She also writes most excellent sexual tension. Why, you may be wondering, am I going on and on about these other books, instead of reviewing this book? Basically, because in my mind all the Bridgerton books are linked, probably a lot more closely than Ms Quinn actually intended when she wrote them. Since I first read The Duke and I sometime in the early to mid 2000s, I approach each of the titles in the series with certain expectations. Which weren’t quite met by It’s In His Kiss. The novel starts with a prologue that, while interesting enough, was truly nowhere as delightful as the one Ms Chase wrote for Dain in Lord of Scoundrels. Gareth is the second son of a cold minor noble, Lord St Clair. In short order we learn that Lord St Clair has good reason to believe Gareth is not his son–despite some strong family resemblance, which is also addressed pretty early on. Still, the cuckoo in the nest could have his uses–such a marrying the childlike daughter of a wealthy neighbor in order to refill the St Clair’s coffers. Outraged and frankly disgusted at the idea of taking to wife a woman with the mind of a child, Gareth refuses and is summarily disowned. Ten years later, our story starts in London, where we learn that Gareth fled from his father’s hall to his maternal grandmother’s side. Lady Danbury, acerbic, intelligent and kind, had taken steps long before Gareth’s birth, to protect her grandchildren’s portions from Lord St Clair’s grasping hands. Ergo, Gareth has some adequate if modest means to support himself in society without embarrassing his grandmother. Of his father’s opinion, he truly couldn’t care less. Sadly, shortly before this point in time, his older brother George had died–which means that whether his father likes the idea or not, Gareth is now the heir to St Clair Hall and all the other entitled properties. Because Lord St Clair is not only a profligate spendthrift, but also quite the two-dimensional villain, he’s pretty much bent on driving Gareth’s unwanted and unexpected inheritance to ruin before he finally shuffles off. And the thing is, Gareth doesn’t much care about this one way or the other for himself, but the estates are not just land and manors. There are people whose fortunes rise and fall alongside those of their masters, and who don’t have well to do grandmothers who can come to the rescue. So when George’s widow hands him the diary of Lord St Clair’s mother, telling him it’s a bequest from his late brother, finding someone to translate it from Italian is as good a distraction from problems with no viable solutions as any other. As luck would have it, pesky Ms Hyacinth Bridgerton just happens to be visiting Lady Danbury when Gareth arrives–and of course he’s forced to explain the motive for his visit in front of her. And things went downhill from there for me. Hyacinth is supposed to be twenty two years old in this book, but I didn’t perceive any change–any actual growth or a hint of maturity–from how she’s written in the first few books of the series. She’s supposed to be very intelligent, and instead she comes across as a smartypants. One who has to have the last word in any conversation or she pouts. I presume that this was supposed to be Hyacinth’s quirk–Eloise wrote letters to everyone under the sun, Daphne was one of the guys, Francesca was a romantic, Hyacinth is smart. For me, the gimmick fell flat. This is a young miss from a good family who has been out in society for four or five years. Yes, by modern standards she’s a new adult, but if we are supposed to believe the setting of the novel, most women her age within her social circle are not only married but mothers and the mistress of their own homes already. Hyacinth should be at least within the ballpark of adulthood, maturity-wise. Her own sisters, Daphne’s abhorrent behaviour towards Simon not-withstanding, were much more mature at twenty than she is at twenty two. Hyacinth seems to have been preserved in stasis for fifteen years. She reacts to Gareth in the same way she reacted to her brother Gregory’s teasing. If you are getting the impression that I didn’t much like Hyacinth, you’d be right; mostly because she never became an actual person to me. As for Gareth, I found him marginally more likable than Hyacinth, but again, pretty two dimensional. Then we have the structure of the novel. The story is told, as most fiction is, from a third person omniscient point of view. However, as if that weren’t enough, we have little headings–not just at the beginning of each chapter, but here and there in between scenes. I assume that they are supposed to function like scene direction in a play, but I found that they broke the flow of the narrative. It was as if the author were winking at me, pointing out how clever the whole thing was. To top it all there’s the mysterious diary and the secrets therein–which again felt very gimmicky to me. This is not to say that similar devices haven’t worked for me, it’s just it didn’t work for me here. I felt that all the charm from the earlier installments in the series was missing in this book, and I think this all meh reaction stems from the fact that I could never connect with the characters. I just never cared much one way or the other, you know? Which is obviously bad when reading a romance novel. By the time I got to the epilogue (I am most definitely not an epilogue type of reader, most specially when the only objective of the epilogue is to show off the babies), with all the children and the ambiguous ending, I was mostly reading to be done. It’s not a horrible book, and I’m sure there are more readers who have liked it than readers who haven’t, but it definitely suffers because I cannot help but compare my reaction to It’s In Hiss Kiss to my reaction to any of the first six books in the series. Where the other novels would be in the 7.75 to 9.00 range, It’s In His Kiss gets a 5.00 out of 10–mostly because I feel so meh about it. ← There is no such thing as a free lunch.